Taps. Such a small word for such a big decision. Once upon a time there wasn’t really a decision to be made here. Your choice was simply a hot and cold tap and a spout, chrome tapware all round – end of discussion! But with so many options available to us now, choosing the right colour tapware for your bathroom is getting very exciting indeed. 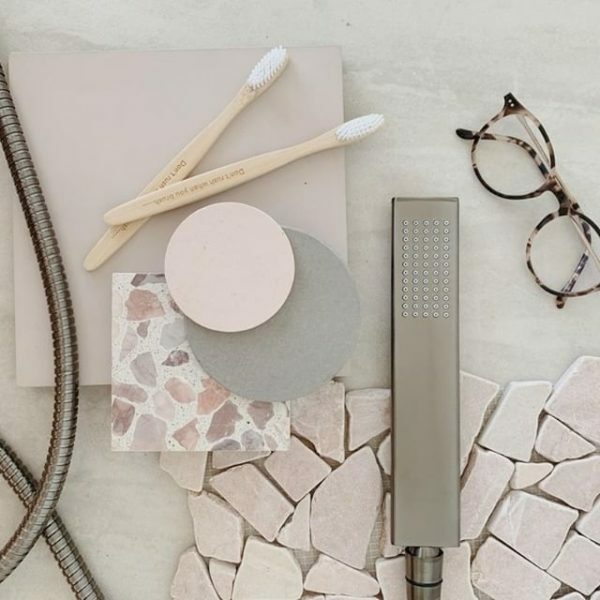 No pressure, but this one is kind of a biggie, so we’re going to take you through some of the things you may want to consider when choosing the right colour bathroom tapware for your next project. Concepts, Colours, Styles – lets delve in shall we. First things first, you’re going to need to have a clear idea of the concept for your entire bathroom before you even start looking at tapware. 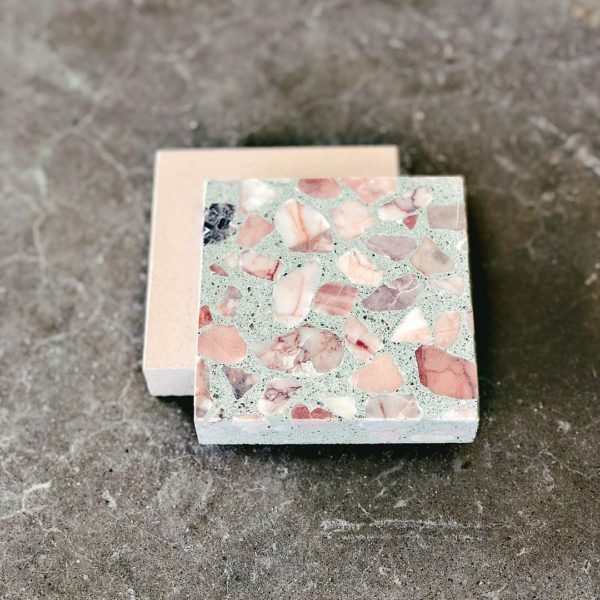 While you might have started a mood board, saved some pages on Instagram, or even enlisted the help of a bathroom designer, your concept will be thefirst port of call, and will be the reference point throughout your entire project. To ensure you are on the right track, let’sstart off with finding out what your style is. Look for a common theme that seems to appear on your mood board or pages you have torn out of magazines. Usually it’s a colour, or a hero piece that you may have your heart set on, like a freestanding soaking tub. Or a gorgeous copper tapware set, that you want to show off. Once you have your hero piece, start working around that. Next up, tiles. Is it a modern industrial look you are going for with maybe a concrete or a textured black tile?Or maybe a gorgeous Hamptons style. Start thinking about what draws you to that style, do you like boldness, something low maintenance, or simply the way a certain tile looks? Here come the sleepless nights people! Choosing the big things somehow seems easier than choosing the right colour of your tapware, why is that? Maybe it’s because you’ve seen something which sparked you to update your bathroom in the first place? Was it that freestanding tub, or beautiful brushed brass tapware you noticed in a housie magazine? You liked it for a reason, so trust your instincts. Once you have your concept and your style, making the decision about the colour of your tapware should be a little easier. So, let’s look a little closer at some options that are bound to suit your style. Fall in love with this decadent style. Imagine walking in to your bathroom with marble tiles underfoot and classic blue and white detail. This look is easily achieved with timeless high polish stainless steel tapware throughout. Marble is your go-to, so try incorporating it on your vanity top and watch your beautiful tapware sparkle. Also try some wall sconces for extra lighting around your bathroom mirror, they are not only function, but they will take it to a whole new level for this luxurious look. Home HotelWho doesn’t love checking into a luxe hotel? Are we the only ones that take a good look at the bathroom first? Why not recreate a hotel style bathroom that you can enjoy every day. It goes without saying, but a bathtub is a must. Try and fit one in if you can, or even create a space saving wet-space. Team it up with a stunning brushed brass floor mounted mixer and brushed brass tapware in the basin. Get the champagne and bubble bath and lock the door! DIY Day SpaRelax and lose track of time. Again, you are honestly going to NEED the biggest soaking tub you can fit in this space! You’re aiming to create a sense of calm and escape with this style, so imagine muted brushed brass tapware or classic chrome tapwarefor a serene vibe. Also try and include some natural timber elements, whether it’s a shelf for added storage, or a timber bath caddy, this will add to the overall relaxed feel of the room. Finish off your look with fluffy towels, gorgeous scented candles and why not try a cascading pot plant (or two!). The industrial look is here to stay but it’s also evolving over time. What started out as quite a rough and rustic look, has now been refined and polished while still in keeping with that New York lofty vibe. We’re going for a statement look here. Maybe some white subway tiles or penny rounds with dark grout, and a black framed shower screen. Chunky matte black tapware all round, with an oversized rainfall shower head. Feel like it’s too masculine…lighten up the look with brushed copper tapware instead. The contrast will be instant. G.L.A.M.O.R.O.U.SOkay, we’re going OTT here everyone! Start off with white tones, and then lots and lots of shiny things. Oversized ornate mirrors, plush white towels, a vase of fresh cut flowers, nothing is too much for this style. The great news – if you’ve decided to pursue this style, you can choose almost any colour tapware. One of our personal favourites for this look iscopper, but why not try white tapware? It’s a relatively new look, but you’ll be wondering why it’s not more popular – Yet! Fifty ShadesThis next look is not for everyone, but there is most definitely a lot of buzz around this style. Take dark stone tiles, black cabinetry and dim lighting to recreate a subdued vibe. Here we would most definitely go with gunmetal tapware, this colour is made for a bathroom like this. But if you find you do need a little relief from all the dark tones, why not try brushed nickel tapware, which is also a much-loved favourite in this cave like style. We hope this has given you some fresh ideas and clarity around choosing what colour tapware suits your project. So, tell us, what colour tapware would you choose?